She was a 'bridechilla' instead of a stressed out 'bridezilla' at her wedding. 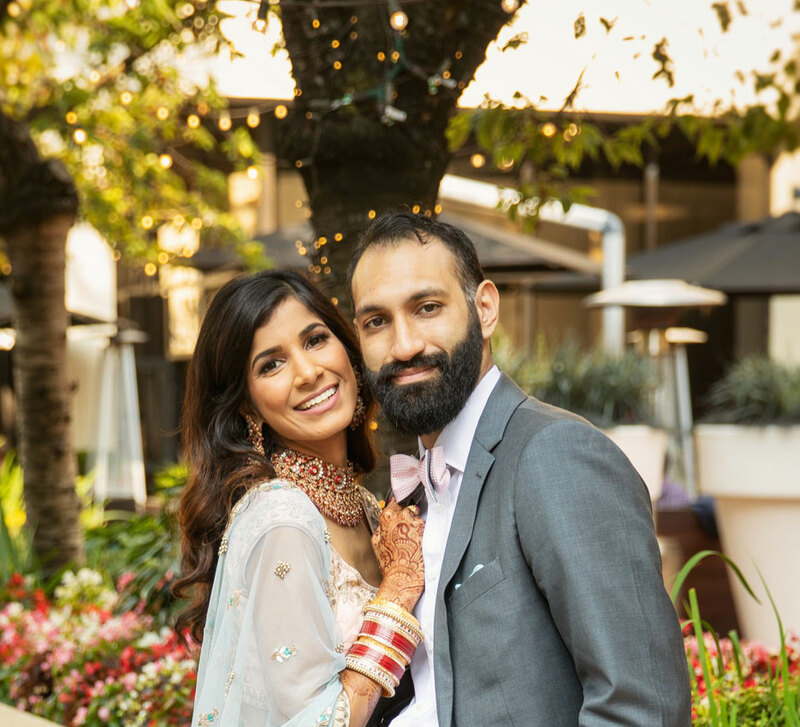 Check out Kavea's wise advice for soon-to-wed couples as well as stunning photos of her wedding to Arjun. They met in school, graduated as close friends and earned a place in each other's hearts over time. 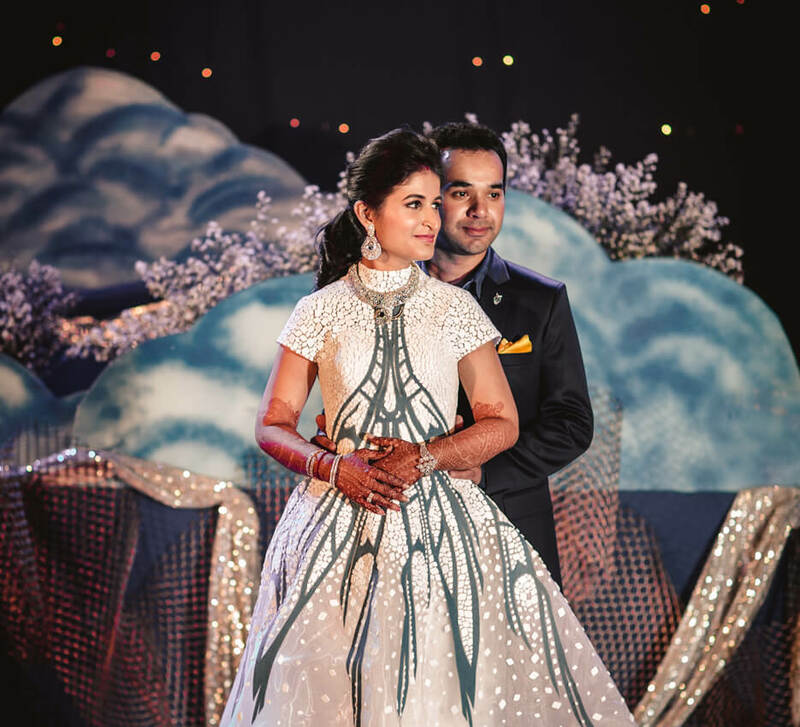 Kavea and Arjun's sweet love story was captured in the colors and character of their traditional wedding celebrations which took place in Hyderabad. Take a peep into everything that went down over the fun-filled days. 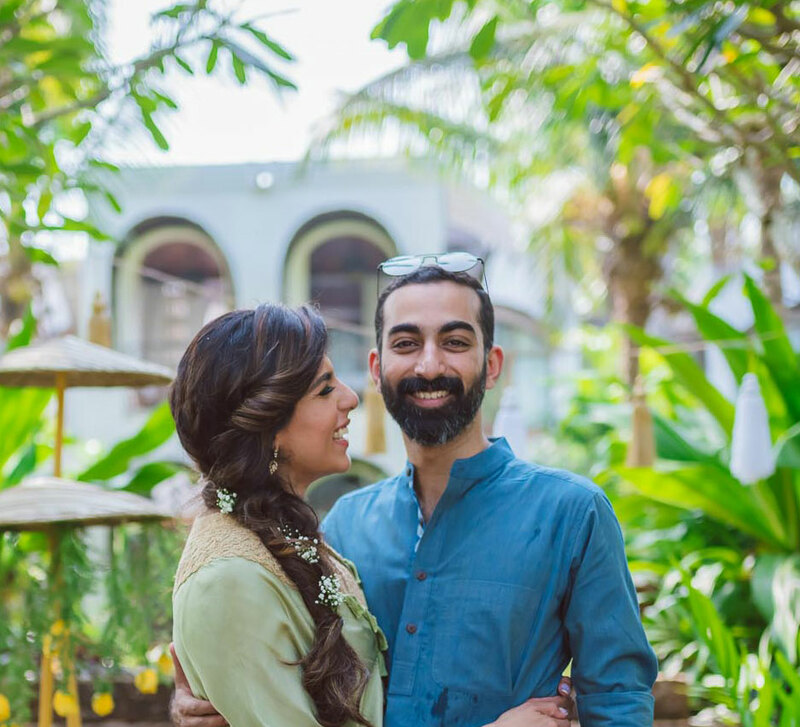 Kavea shares, “My father got transferred to Vijayawada, that's when we met at NSM Public School where Arjun and I were classmates for three years. Then my father moved to Kakinada, but Arjun and I stayed in touch through letters as friends. After I finished my Engineering, we dated briefly for six months, but it didn't last much due to the long- distance thing, but somehow we continued being friends and were in touch intermittently. But last year, things changed between us. A few of us planned to go trekking, and we went to Spiti. That was the beginning of something new. I am an anchor by profession and have to travel a lot, so when I had to go to Bangalore for a show, I decided to talk to him. I proposed the idea of us dating again to Arjun, and he gladly said 'Yes.'" The couple had a traditional Telugu wedding ceremony. The mandap was beautifully decorated with lush floral arrangements and drapes. 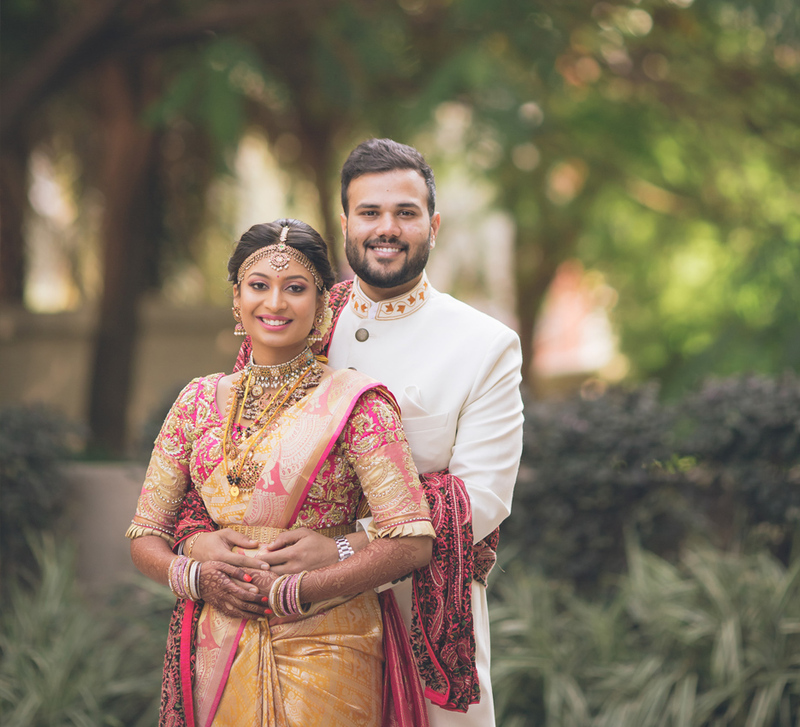 For the wedding, Kavea wore a traditional Kalaneca saree that was woven by weavers with specific instructions from the bride who wanted silver color threads in the form of a 'Raja and Rani' in the pallu, and a combo of cream and dark green for the 'talambaraalu' (Telugu wedding ritual).